AirPlay allows users to wirelessly stream videos, music and photos from iPhone, iPad, iPod touch and iTunes (from iTunes 10.1) to Apple TV (2nd generation) and stream audio to AirPlay speakers or receivers, including AirPort Express. One major disappointment is that ability to stream from AirPlay source to iPhone, iPod touch or iPad is not supported. It’s unclear if Apple has the pipeline or intention to add AirPlay receiver support into these iOS devices, which effectively allows videos, music and photos to be shared and streamed between iPhone, iTouch or iPad. AirView is an app for iPhone, iPod touch and iPad which provides AirPlay receiving capability to the iOS device, so that the mobile device can be used to watch AirPlay video streams from another iOS device or from iTunes on the same local network, or from iTunes (installed on Windows or Mac OS X desktop or laptop computer). The AirView is available in the App Store for free download. 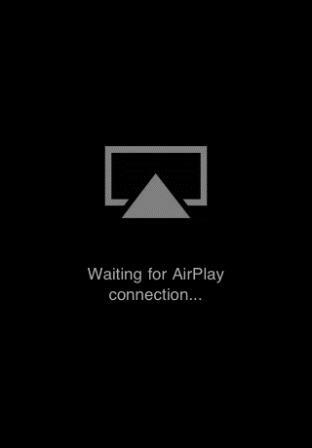 Once installed, just launch AirView to receive AirPlay connection, which can be from any AirPlay source, including another iPhone, iPod touch or iPad running iOS 4.2 or above. For example, tap the AirPlay icon on the YouTube media player on another iPhone connected to the same local wired or wireless network, and then video should start playing in AirView. This works with videos played in iTunes on a Mac or PC too. AirView does not support photos streaming yet, and so do music and audio. And it appear that the app also doesn’t work with content protected video such as FairPlay encrypted videos. Get the app while it’s still on the App Store.